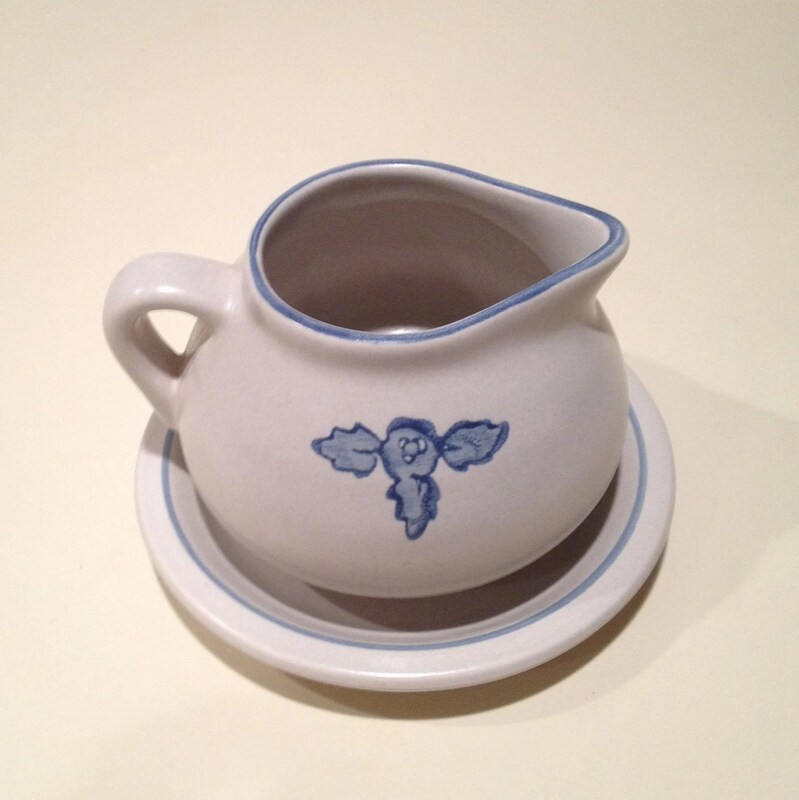 Yorktowne Pfaltzgraff Gravy Dish and Saucer is made in the U.S.A. it is approximately 3 1/2" tall, 5 1/2" in length. Stoneware has a Blue Floral pattern and trim. A deep blue, hand-applied floral motif adds dimension to the smooth glaze that is reminiscent of early salt-glaze techniques.Very popular pattern, Started production of this pattern in 1967. In the 1960s, a keystone of the Pfaltzgraff family castle appeared on the back of the company's pieces. This entry was posted in http://feedproxy.google.com/~r/JujubefunnyFinds/~3/CgtYfArs9Zk/pfaltzgraff-gravy-boat-w-underplate-in1376460286 and tagged IFTTT. Bookmark the permalink.